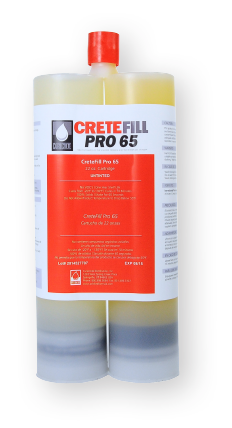 CreteFill Joint Filler Pro 65 | 22 oz. 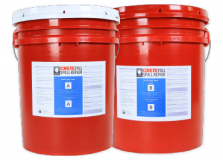 Cartridge – Curecrete Distribution, Inc.
CreteFill Pro 65 is designed to fill damaged control joints, or new control joints on horizontal concrete. It is slightly flexible, allowing small slab movement, yet strong enough to protect the vertical edges of concrete from spalling under moderate loading exterior applications. Designed specifically for floor applications subject to light vehicle traffic (i.e. pedestrian traffic, shopping carts and stocking carts).